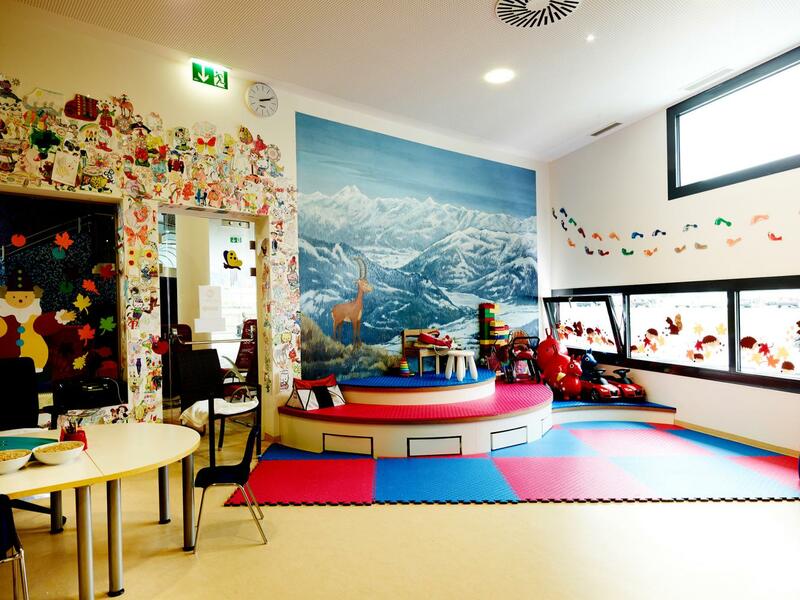 Younger guests at the TAUERN SPA will simply love the Kidstein children's spa with its many great activities. 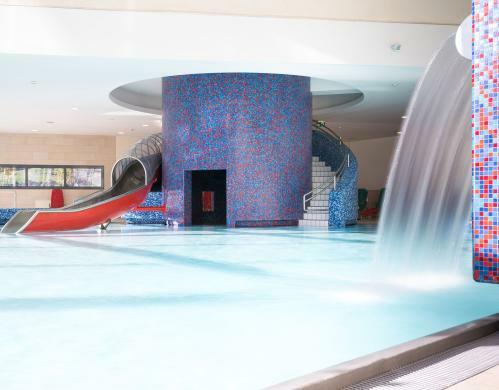 While children splash around to their heart's content in the Kidstein children's spa, Mum and Dad can enjoy a bit of well-deserved time alone. Situated away from the main spa area, the Children's SPA Kidstein is a true paradise for children and teenagers in search of aqua adventures. Highlights include the 127m tube slide and the "Wolfshöhle" grotto. 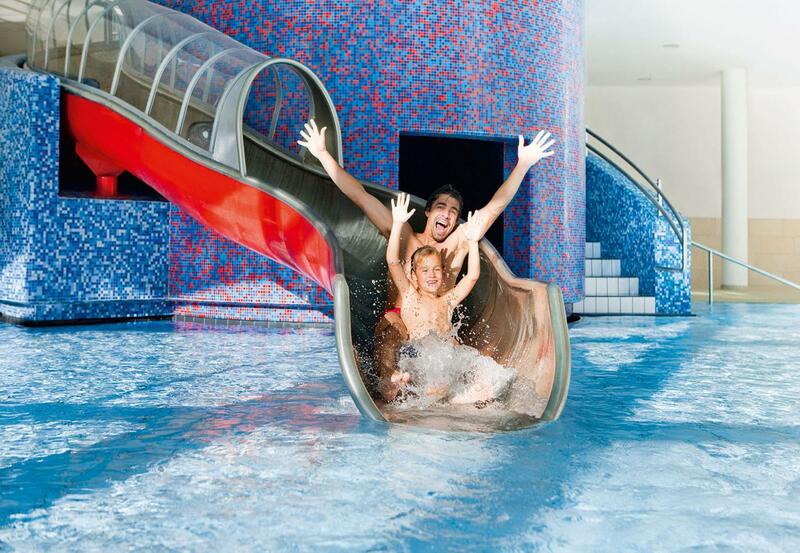 The Children's SPA Kidstein offers so much to see and do! On warm summer days, there is no better place to run around and have fun than the outdoor play area at the TAUERN SPA with its activity pool featuring a play hill, a hand-operated water pump, mini floodgates and a waterwheel. There is also another play zone away from the main spa with a wavy slide, a sand play area with cranes, a climbing wall and wooden seating areas. For those days when the weather gods are not smiling, there is an indoor creative room and a karaoke room. Little monkeys can test their climbing skills on the indoor climbing wall, while there is a quiet area for those who want to relax and sleep. Holidays should be a relaxing experience, not only for children but also for their parents. 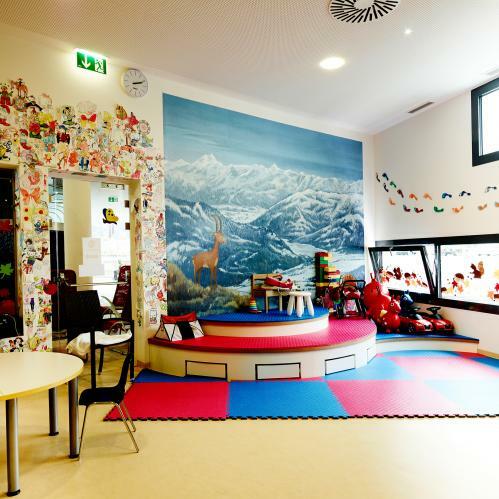 That's why we at the TAUERN SPA have a team of experienced childcare and entertainment experts who offer lots of great activities every day from 11:00 until 19:00 throughout the year for children aged 3 years and over. And the best thing is that while the kids are away having fun, parents can unwind safe in the knowledge that their precious ones are in good hands. Babysitting is also available (for an extra fee). During the school holidays we offer special children's activities for hotel guests. A child's dream come true! 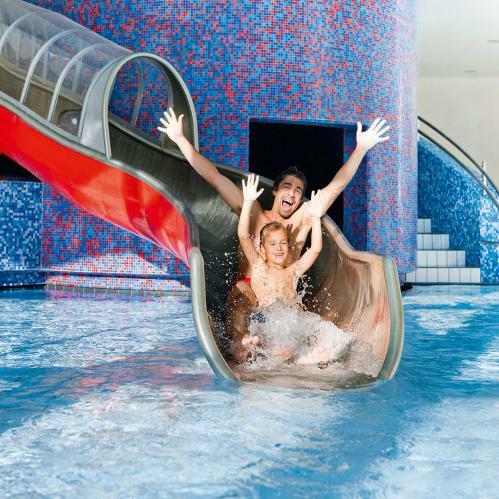 Children can look forward to fun and adventure on holiday at the 4* superior TAUERN SPA hotel and resort.